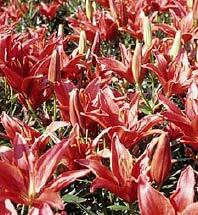 Asiatic lilies being raised for the wholesale bulb market. There are a number of horticultural crop and marketing options available in southwest Washington given the protection for agricultural land, a long mild growing season, and the proximity to a major metropolitan area. Each year farmers have shown their great ability for innovation by selecting an ever-expanding array of species of ornamentals, Christmas trees, berries, vegetables, and bulbs in order to satisfy consumer needs for locally produced agricultural products. In the latest Census of Agriculture (2002), as developed by the Washington Agricultural Statistics Service (now reported by the National Agricultural Statistics Service) the total market value of agricultural products sold in southwest Washington (including both Clark and Cowlitz counties which share a border)a mounted to $84.9 million dollars. Of this value horticultural crops (including nursery and greenhouse) accounted for $39.3 million dollars or 46% of total sales. The National Agricultural Statistical Service, in conjunction with the Washington Agricultural Statistics Service, report that there was a total of $9 million dollars of fruits, tree nuts, and berries sold in 2002 in Clark and Cowlitz Counties. The fields in the Woodland Bottoms area, west of Interstate 5, are often considered for inclusion in consideration for horticultural production for southwest Washington. 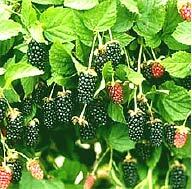 Traditional food crops include all the different types of berries, including red raspberries, trailing blackberries, high bush blueberries, and strawberries. There are approximately 2,300 acres of berries in the 2 counties. While all of these crops have historically been grown for processing, there is a growing interest in raising them for fresh market sales at Farmer’s Markets, and road-side stands. In the area of tree fruits, southwest Washington farmers have proven that they can raise locally adapted apples, and peaches, and to lesser extent chestnuts, hazelnuts, and pears. As for vegetables, crop choices would include sweet corn, carrots, pumpkins, lettuce and cole crops, and to a lesser extent tomatoes, peppers, and culinary herbs. In southwest Washington $1.7 million dollars was sold in 2002. Further information on all sorts of different specialty vegetables that are being researched in southwest Washington is available. A complete set of guidelines on how to grow all of the processed as well fresh market vegetables raised in the Willamette Valley is also available. Ornamentals, including trees, shrubs, groundcover, flowers, and turf for sod comprised the largest segment of horticultural crop sales in 2002. In southwest Washington there total sales amounted to $24.7 million dollars or 63% of total crop sales. Popular retail outlets for nursery crops include independent garden centers, discount chains, and super-markets. 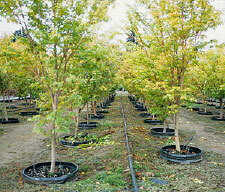 Many of the retail outlets tap into the ready supply of wholesale nursery stock which is available from northwest Oregon. In terms of wholesale, there are farms which are producing bulbs; herbaceous perennials; bare-root trees, shrubs, and roses; and in-door floral pants. For further information on the opportunities with ornamentals turn here. 4-year Noble firs being raised near Daybreak Park for the wholesale market. Raising Christmas trees for both the Choose and Cut, as well as the wholesale trade, remains an ever popular activity for rural landowners. In the 2 counties there were a total of 1389 acres reported in 2002 with an estimated value of $1 million dollars. Southwest Washington producers can capitalize on the excellent marketing efforts provided by the Northwest Christmas Tree Association which sponsors annual trade shows, tours, and an extensive buy/sell directory. Further information on options for Choose and Cut as well as wholesale Christmas trees is available. The success of southwest horticulture can largely be attributed to the long, mild, maritime climate that exists all through the county. There are over 280 frost free days in the southwest portion of the county. Summer temperatures rarely exceed 100 °F and winter lows typically don’t drop below 10 °F. Though the bulk of the plant growth occurs during the period of April–October, the landscape stays green all year long even during periods of plant dormancy. Clark County resides in the USDA Hardiness Zone 6. The warmer areas of the county are in Zone 6.b. (-5 to 0 °F), while the cooler areas reside in Zone 6.a. (-10 to -5 °F). While the winter on-shore airflows moderate the average temperatures, there still is a continental influence that makes its presence known in occasional winter ice storms created from easterly winds blowing down through the Columbia River gorge. The warmest sections of Clark County are in areas west of line from LaCenter, southeast to Brush Prairie, and then further south to the Interstate 205 Bridge. The summer prevailing winds are from the north-northwest. In areas near Vancouver the first frost generally comes around the first of November, while the last frost occurs sometime during the middle of April. In the Battle Ground area the first frost can occur as early as mid October. The National Weather Service Office for Portland Oregon reports that the southern region of Clark County averages nearly 39” of rainfall per year. Rainfall amounts increase quickly as one travels in a northeast direction from the Interstate 5 Bridge towards the community of Yale on the east end of Lake Merwin. Battle Ground averages 47” of annual precipitation; Yacoult averages nearly 76”; the community of Cougar can experience more than 115” of annual rainfall. Heavy spring rainfall can delay both gardening and farming practices. The western portion of Clark County consists of a series of gently rolling alluvial terraces that form plains and benches rising step like up from the Columbia River. In general the soils in the western and parts of the central portion of the county classified as deep, medium-textured, level to sloping well drained to poorly drained. One of the best soils for farming is the Hillsboro series, which can used for many different types of high-value horticultural crops, as well as for pasture for animals. In the Ridgefield, Pioneer, and Good Hope areas the Gee series predominates. The Gee series is considered deep and moderately well drained. 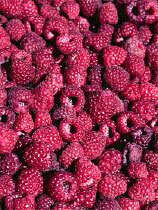 Gee series sites hold more winter precipitation which can impact the vigor of perennial crops such as red raspberries. This series however is fine for strawberries, in-ground nursery stock, Christmas trees, and vegetable crops such as sweet corn, and pumpkins. In the Battle Ground area the soils are often heavier, and can impede the growth of perennial crops. North and east of La Center the Hesson-Olequa association soil series reside on the upland and terraces leading up to the foot hills of the Cascade Mountains. Sites in this association deep and moderately well drained. All of the different horticultural crops can be raised where the slopes are not too steep. For further information on Clark County soils consult with the Natural Resources Conservation Service, 11104 NE 149th St. Building “C”, Brush Prairie, WA 98606. The office phone number is 360/ 883-1987. This office has a hard copy (free) of the 1972 Soil Survey of Clark County which can be reviewed to determine the soil classification for a particular site. A pdf version is available as well. While southwest Washington residents covet the pastoral views provided by open space and agricultural fields they are enjoying the locally grown food, beautiful plants, and entertainment that managed farms provide. As long as residents continue to place a value on the preservation of small family farms there should be long lasting bright future for all sorts of different horticultural enterprises. None-the-less as southwest Washington continues to attract a greater influx of new residents entrepreneurial farmers will need to re-tool their practices to include high-value crops that can return enough money per acre to offset the ever-increasing urban land values.